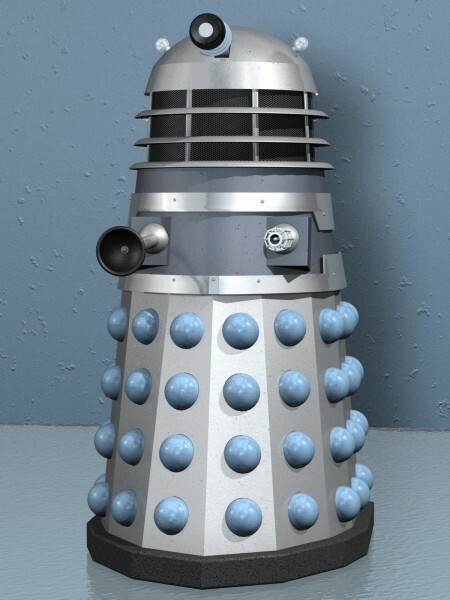 The Warrior/Worker Dalek is the most common type, and all Daleks follow the same basic design from this. 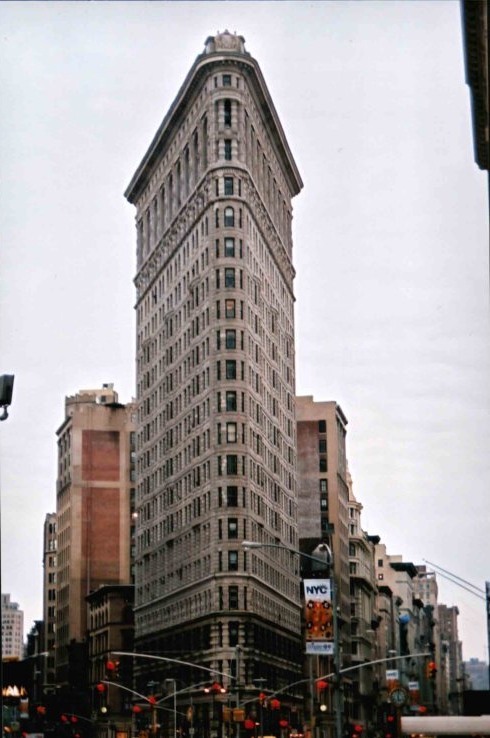 During the 1960s their outer casing were silver, changing over to various shades of gray beginning in the 1970s. 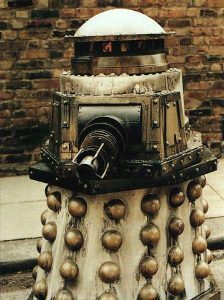 The exterior of the early Dalek casing was made from a specially developed alloy, Dalekenium, which is both very light and very tough. Later Dalek casings were constructed out of Polly-Carbine armor, making the travel machine virtually indestructible. The internal anatomy of the Dalek has changed little over time, conforming to the changes to the physical form of the Dal/Kaled mutant. 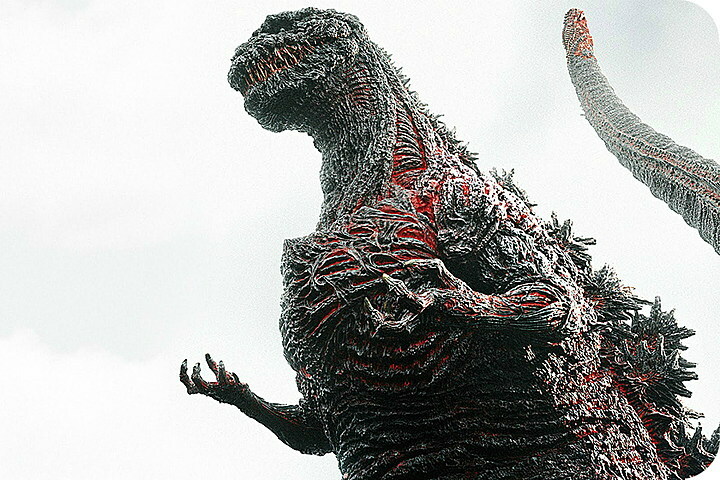 Each travel machine contains a control chamber, located in the center top of the machine, which houses the mutant. Above the control chamber a large proportion of the upper Dalek is devoted to the “war computer,” from which the mutant draws its military knowledge. 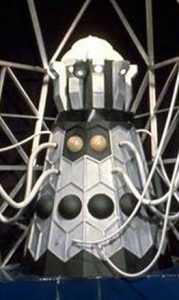 The Dalek’s external base is covered by “sensor globes” which send messages concerning external atmospheric conditions, location of enemy units, etc., to the war computer. It probably makes for a great blog host as well. Throughout the 60s these globes were a light sky blue, being replaced with the more common black globes with the 1970s. In addition, the base houses the motive power source, and in later versions, levitation jets capable of lifting the machine off the ground. Protruding from the Dalek’s mid section, on its left-hand side, is a Blaster gun. The Blaster moves on a ball and so cket arrangement and is connected internally to a power unit. 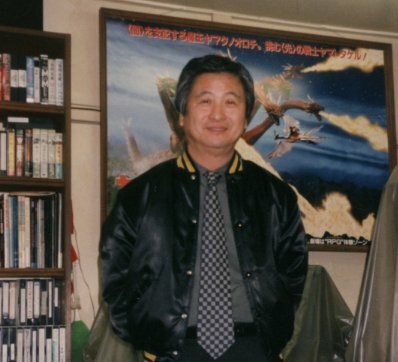 The gun is interchangeable and different types of weaponry setting can be used. Alongside the gun, connected by a similar arrangement, is the Dalek “Manipulator Arm.” Tipped by a suction cup, this arm enables the Dalek to perform a surprisingly varied array of tasks. Jutting out of the Dalek’s dome is a single eye stalk. The eye is capable of using different types of visual perception, including night and heat vision. 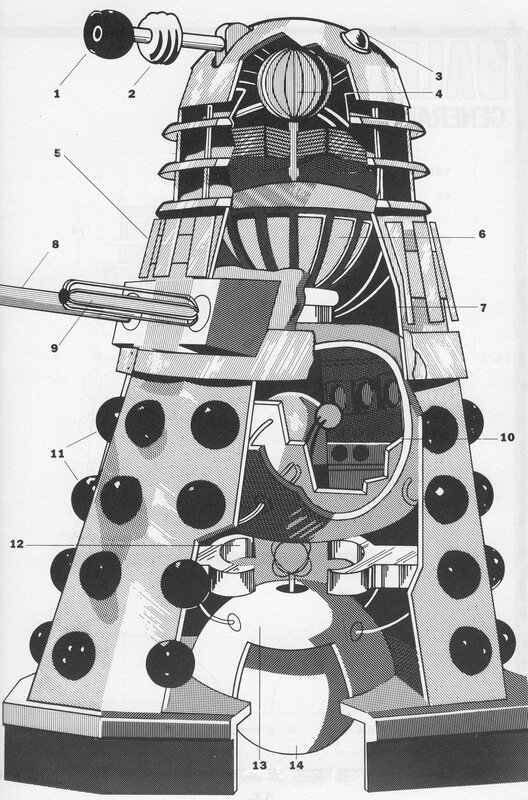 For a break down of the internal structure of a Dalek, see Anatomy of a Dalek. 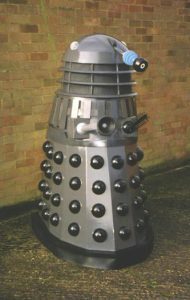 Although the Red Dalek was never actually seen in an episode, it had been featured in both Doctor Who films and several of the comics and annuals. In the first film, “Doctor Who and the Daleks” one is seen on Skaro acting as a second-in-command to the Black Dalek. 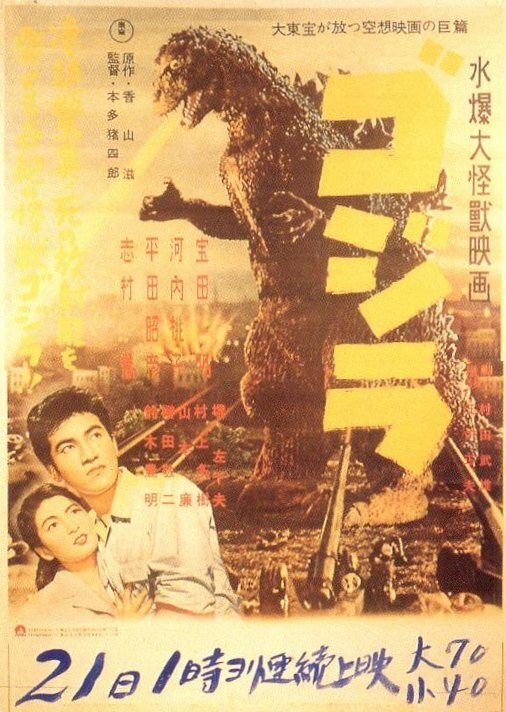 In “Daleks: Invasion Earth 2150 AD” the Red Dalek is second under the Gold Dalek and in charge of the Dalek saucer. One did make a brief appearance (although in black & white) towards the end of episode two in “Dalek Invasion of Earth,” as the saucer commander. 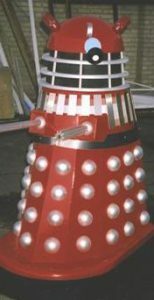 This in reality, was the Black Dalek prop, its paint scheme consisting of only the red under base, and rushed into the production to fill the Dalek ranks. In several annuals and stories the Red Daleks seem to also be the Spaceship commanders, but only of the large “mother-ship” type saucers, as the ships in the series are usually commanded by Warrior Daleks. In some novelizations and annuals they are also depicted as second-in-command under the Black Daleks. The Red Daleks make their most obvious contributions in the Big Finish audio dramas, “Dalek Empire,” where they are depicted as special interrogation commanders. Black Daleks act as commanders of all large scale Dalek operations off Skaro. Although sometimes referred to as “Dalek Supreme,” which indicates that there is only one, there are in fact many Black Daleks. The first one made its appearance at the beginning of the third episode of “Dalek Invasion of Earth,” being referred to as the “Supreme Commander.” It is identical to the standard Dalek except that its casing is entirely black. In some of the novelizations it is suggested that its casing is slightly larger than the standard Dalek, and variations within the program included some Black Daleks having a silver-gray mid-section, silver casings with a black dome, or all black with white sensor globes. 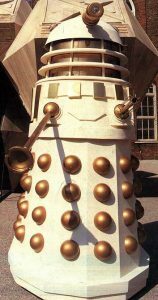 The Gold Dalek made its first appearance in the second Doctor Who movie, “Daleks: Invasion Earth 2150 A.D.” It was depicted as supreme commander of all Earth forces. It would later turn up in several of the comics and annuals of the 1960s. Within the series the only real appearance in “Day of the Daleks” followed by a brief appearance at the end of “Frontier in Space.” It is used in stead of the Black Dalek which suggests that it is placed in command of only the very sensitive missions (and altering timelines is a very sensitive matter). Being the first Dalek episode broadcast in color the BBC may have decided that a gold color scheme made for more interesting viewing than the black used in the 1960s. In addition the Warrior Daleks in this episode were of a very dark gray, making them appear almost black. 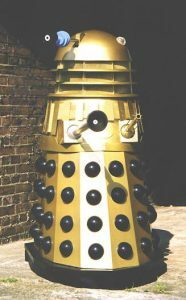 There is no indication as to whether this Dalek is also a member of the Supreme Council (see below), or is one of several gold color schemes. 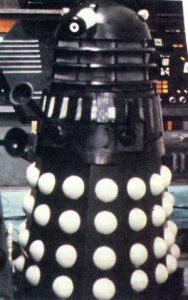 The only appearance of this Dalek was toward the end of “Planet of the Daleks.” It is referred to as “one of the Supreme Council,” suggesting that the Daleks are ruled by more than one Dalek. It is possible however, that with the destruction of the Emperor (see below) the chief scientists and advisors to the Emperor (if in fact the Emperor had any) seized control, but there is no evidence in the series to support this. 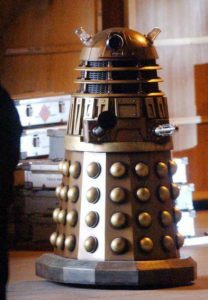 Its casing is larger than the standard Dalek (an Aaru movie version being used), with its dome, mid-section slats and sensor globes all being gold on a black casing. The Dalek Supreme may also be the “Supreme Dalek” referred to in “Destiny” and “Revelations of the Daleks” but this seems unlikely. This Dalek is somewhat of a mystery. Although it is never mentioned in the series it is referred to in several of the novels based on the series (The Chase, Dalek Master Plan, The Power of the Daleks, The Evil of the Daleks). It is also mentioned in both of John Peel’s 8th Doctor novels “War of the Daleks” and “Legacy of the Daleks.” Little is know about the true position and appearance of this Dalek, and it may look identical to the Dalek Supreme, or be entirely white, or gold, or black, or silver, etc. In “War of the Daleks” John Peel describes it as looking very much like the TV21 Emperor (see below). It is suggested that the Dalek Prime is directly under the Emperor in power, and that it is the Dalek Prime which leads the Supreme Council, later becoming the new Emperor, which is featured in the Big Finish audio Dalek stories. The rise to power of this Dalek is never explained in the series. The Emperor makes its only on screen appearance in “Evil of the Daleks,” where it is destroyed in the Dalek civil war. It is suggested that the Emperor is an ultra mutated Dal which roses to its position of ultimate Dalek power by continually experimenting on it’s own physical and mental abilities. It is also suggested that the Emperor was the original Dalek Prime, which was the Dalek that “exterminated” Davros in the Bunker during their creation. Its casing is like no other Dalek. Several times larger it is stationary, sitting in its throne room connected directly to the Dalek city by means of cables and tubes. It may have the ability to relocate to a mobile unit for travel off the planet. 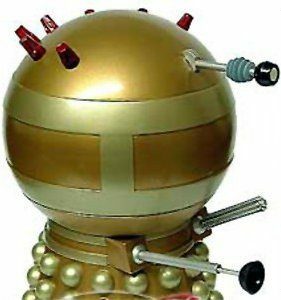 In the TV 21 comic series the Emperor was depicted as being housed in a gold Dalek casing, the lower half similar to the standard Dalek but its upper half featuring a large globe like dome. 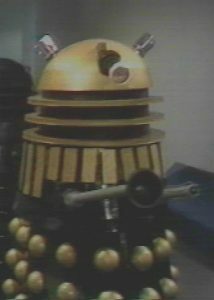 A similar design was later used in “Remembrance of the Daleks” to represent Davros’ new casing at the end of that story. The Emperor created a new casing for itself, also stationary and located in the heart of the Dalek mothership, used in the attack on Gallifrey during the Time war (see below). This casing featured the basic dalek design for its upper section, but contained a glass survival chamber in which the emperor’s mutated body sat. Davros’ Daleks, referred to by Davros as the Imperial Daleks, originated in two forms. The first versions, which appeared in Revelations of the Daleks, looked exactly like the standard gray Daleks in design, but were colored completely white, and featured gold sensor spheres, gun sticks, eye stalks, etc. In Remembrance of the Daleks, Davros’ Imperial forces have been upgraded. Although the basic design remains the same the dome lights have been redesigned to include sensor arrays, the manipulator arm has been upgraded , and the static slats on the travel machine’s mid section have been replaced with slat-like sections painted gold which are molded directly into the mid section itself. This suggest that Davros’ Daleks run on their own internal power supply. There appears to be no rank distinction within the Imperial Dalek ranks, with the exception of Davros himself, now called the Emperor and residing in a casing very much like the TV 21 Dalek Emperor casings sans gun stick, manipulator arm, and painted entirely white. Very little is known about the origins of the Time War. What is known is that sometime during the Doctor’s 8th incarnation the Daleks decided to attack and destroy Gallifrey. The results of the war was the complete destruction of the TimeLords and apparently the Daleks themselves. The war may have also caused the Doctor’s 9th incarnation. Unfortunately the Emperor and a few of the Daleks survived. Trapped in the distant future, the Emperor and surviving Dalek scientist began mutating humans taken from Earth into a new Dalek army. Editor’s Note: For a possible explanation of the war’s origins, see The History of the Time War. To destroy the TimeLords the Daleks redesigned their travel machines, discarding their old Polly-Carbine armor for a new material specially formulated to withstand the temporal physics of the time vortex. The new casings have a force field surrounding them, which dissolves any material (including human flesh), that comes in close contact with the outer casing. The color rank which had depicted Dalek society for so long seems to have also been modified, as all Time War units were now colored gold. Only the immediate servants to the Emperor had any distinguishing color arrangements in the form of black dome sections. Extra support was added to the Dalek dome section to support the new Eye stalk, as well as new sensor equipment. The Dalek gun stick was up-graded to a more powerful version as was the manipulator arm. To increase its attack capability, the Dalek mid-section’s static slats were replaced with heavy armor panels, the travel machine now operating on its own internal power source. In addition the mid-section could now turn like a tank turret, allowing the Dalek greater attack capabilities. The levitation jets were also replaced with an antigravity unit, which allowed the Dalek flight capabilities on land, as well as in space, thus negating the need for Trans-solar Discs. The new casings also allow the Dalek mutant to absorb both DNA as well as temporal energy directly from its surroundings, allowing both mutant and outer casing to “regenerate.” To keep the design modifications from falling into the hands of the TimeLords, each travel machine was equipped with a self destruction unit, built into the sensor spears located around the base section. It is not known if any of these Daleks survived, or whether any standard Daleks survived on Skaro. Other Variations – In the first Dalek story we are shown no variation of Dalek design, as all Daleks featured are identical. Although there is obviously some sort of leadership there is no clear indication of it. In the 1964 novel of the story by then script editor David Whitaker, the Daleks are lead by a Dal mutant cased within a glass Dalek. Although it has been rumored that a glass Dalek was intended for the actual episode and cut at the last minute due to cost, this was never true. It would not be until “Dalek Invasion of Earth” that the on screen presence of a “leader” Dalek would make its first appearance in the guise of the Black Dalek. As the 60s continued several Daleks with all kinds of variations would be seen outfitted with either special manipulator arms, probes, gun sticks, etc. In “The Chase,” the Black Dalek is only seen on Skaro, and the Dalek expedition to destroy the Doctor is lead by a Warrior Unit (sometimes with the preceptor device, sometimes without). 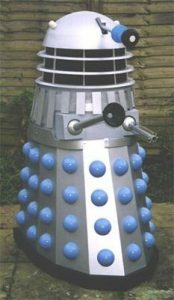 After the 1960s the Black Dalek would not make its reappearance’s until the 1984 story “Resurrection of the Daleks.” Before this time the Daleks would be commanded by regular Dalek units indistinguishable from each other. The most compelling variation however, would not make its appearance until the last televised Dalek story “Remembrance of the Dalek.” In that episode Davros’ Imperial Dalek forces are bolstered by the Special Weapons Dalek.